Incepted in the year 1986, at New Delhi, India, we Ishwar Industries are one of the leading names engaged in manufacturing and supplying a wide collection of Hexagonal Wire Netting Machine. We also deal in Wire Netting Products and Machinery. Our product range includes Hexagonal Wire Netting Machine, Bobbin Winding Machine, Wire Drawing Machine, Barbed Wire Making Machine, Wire Weaving Loom Machine, Razor Blade Concertina Coil Machines, Power Loom Machine and Chain Link Fence Machine. 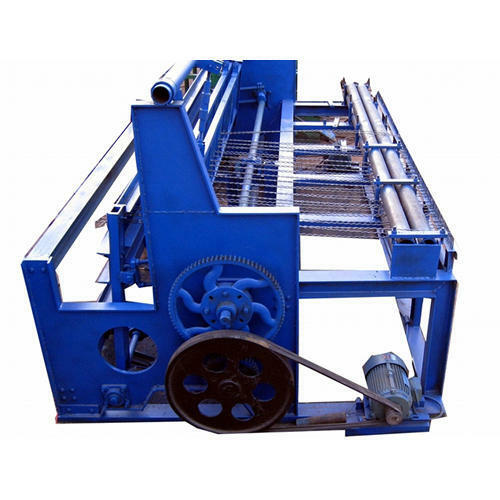 We also offers gabion box machine, wire weaving machine. Apart from this, we are engaged in dealing Wire Netting Products and Machinery. Products offered by us are manufactured using optimum quality raw material and sophisticated technology. Our complete product range is designed with high precision in order to meet the international standards. These products are highly cherished among our prestigious clients for their features like easy operation, high efficiency, rigid construction, dimensional accuracy and longer service life. In order to meet the varied requirements of our clients, we provide these products in both standards as well as in customized options as per their varied specifications.